I am trying to juice fast with mainly green veggies for 30 days or more to heal my inflamed pancreas & congested liver. My digestion is very bad right and I have pancreas pain,candida,low blood pressure & no gall bladder. I do not have elevated pancreas enzymes when they were checked twice. I believe what contributed to my pancreas pain was when I was on a very high fat & protein diet for a few months trying to get my candida under control. Not having a gall bladder makes the liver & pancreas work twice as hard I learned. I’m a bit concerned about loosing more weight & muscle(protein) since I only weigh 109 lb and my height is 5 feet 5 inches. Plus I need some energy to keep up with my 2 & 6 yr old children. Last time I tried to veggie fast I lasted maybe 3 to 4 days but was extremely tired,crabby,joint pain,body ache,headaches,dizzy,insomnia and rash. 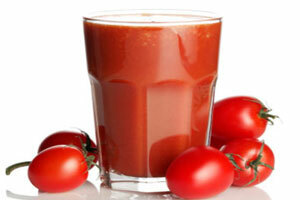 How many veggie juices should I drink daily to keep up a energy level. Is there anything I can do about trying to maintain my weight and not lose the little bit of muscle I have left while juicing? It sound like your body is very toxic to get that kind of reaction on a juice fast. I would include 10 raw egg whites blended into the juice that will help you maintain your weight. You want to drink at least 6 to 8 glasses a day. To the juices ad garlic, clove, ginger, cayenne pepper, and oregano. These will help keep down the bacteria levels. If you still have low energy or the detox rate is too uncomfortable at 1 avocado cut into slices and eaten throughout the day. I would do a juice fast for 30 days if I were in your position. The hard part will be to get through the first 5 days. Add essential oils to the egg white blend. Take multi B vitamin. E.
This should work for your goals. Keep the sugar load low.